Bangladesh has become an emerging destination for international students from various countries like India, Nepal, and others for pursuing medical degrees. Indian students choose MBBS in Bangladesh as a better option due to low tuition fees. As Each year, the number of international students applying in top medical universities of Bangladesh is increasing. The students who graduate from the best medical universities in Bangladesh are eligible to appear for major tests like the USMLE, PLAB; the screening examination conducted by MCI and can practice in any country across the globe. MBBS in Bangladesh is cheaper as the top medical universities have low tuition fees. 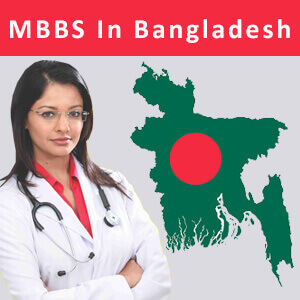 Getting a MBBS admission in Bangladesh is easy and hassle free. Almost, all top medical universities in Bangladesh are recognized by MCI and WHO approved organizations. In Bangladesh, it is simple to get MBBS seat with any medical colleges or schools. Thus, there is no entrance exam. MBBS in Bangladesh is taught in English medium. Medical is that field which keeps on expanding. Due to the high course fees for medical courses in India, there are large number of students who want to go Bangladesh to study MBBS. The cost of living and education in Bangladesh is quite affordable in comparison to other medical colleges around the world. In top private & medical colleges of Bangladesh, 25% of seats are reserved for Indian students, hence there are more opportunities for them in Bangladesh. If the students belonging to SAARC nation, then the students don't have to pay any tuition fee for medicine course in Bangladesh, hence they have to pay only for living cost. The medium of instruction to study MBBS in Bangladesh is fully english, hence there is no need for any language training. Every top medical universities in Bangladesh are recognized by MCI & WHO, which make them globally acknowledged. There is a direct admission to MBBS course in Bangladesh without any donation or capitation fees. No entrance exam required for MBBS admission in most of medical universities. Students get an opportunities to do 1 year internship in some of the best private & government hospitals. Practical and training methods are used to improve the skills of the students. Affordable tuition fee for studying MBBS in Bangladesh. Is it Worth to Study MBBS in Bangladesh? Quality of infrastructure and education are truly remarkable in comparison to other developing countries. All private and government hospitals are completely well-equipped with great infrastructure and modern technology. The cost of living in Bangladesh is very low as compared to other countries. The medical students are able to attend various international seminars and conferences throughout the course. There is a Working opportunities after completing the course of MBBS in Germany. 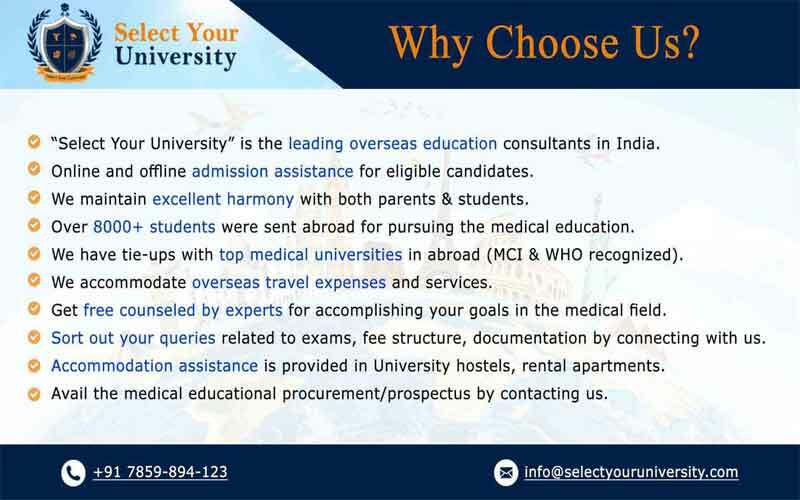 Accommodation provided with all necessary facilities by medical universities. Safety and security of foreign students is ensured by the campus. Course duration of MBBS in Bangladesh is 5 years with clinical & electives. MBBS in Bangladesh - Is it Safe for Indian Students? Bangladesh is totally a dry country, so it is safe for Indian students as no alcohol or any kind of drugs is available in this country. Safety and security of foreign students is ensured by the campus and government of Bangladesh. Although, the crime rates in Bangladesh against the international students are very low. After completing MBBS in Bangladesh, Indian students can practice in India as a doctor after clearing the MCI screening test. one can apply for the post graduation from USA, UK, Canada & any other European country. We will take you through the simple admission procedure & on behalf of you we will perform every process of admission honestly. You just need to submit all the required documents to us. Students scoring good marks in 10+2 exam will be given an opportunity to obtain scholarship in Bangladesh medical universities. There should not be gap of more than 2 years after completing 12th education. Minimum aggregate GPA in SSC & HSC should be as per instruction of government of Bangladesh. 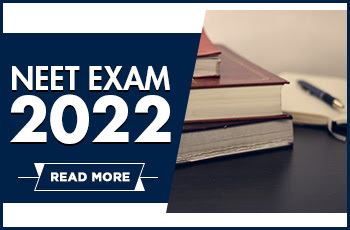 All medical students have to clear NEET exam with good marks. Fill the application form/ or get it filled by online staff of institutes. Submit the scan copies of your passport, and other necessary documents. Check, Evaluate and authenticate every document before applying for visa. All the documents must be attested by competent authority I.e, the education minister of respective country and also by the Bangladesh Mission Abroad. Students have to submit all their original documents during their admission. Bangladesh is a country in south Asia & also one of the most densely populated countries in the world. 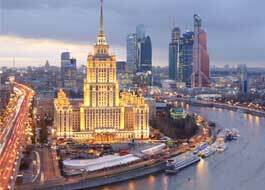 Dhaka is the capital & largest city of this country. Bangladesh is sharing the borders with India & Myanmar. China, Bhutan and Nepal are situated close to Bangladesh. The majority of Bangladesh is secured by the Bengal delta, the biggest delta on Earth. The nation has 700 streams and 8,046 km of inland waterways. Bangladesh has numerous islands and a coral reef. Bangladesh is the one of the biggest supporters of United Nations. 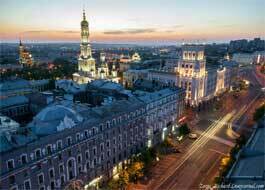 The medical universities are fully residential. Every student can occupy their vacant seats in hostel. Hostels are provided with facilities like dining room, TV, gymnasium, games & many more. Bangladesh has a subtropical rainstorm atmosphere described by wide seasonal varieties in rainfall, temperature and mugginess. Mostly, the seasonal climate of Bangladesh is likely associated with Indian climate. The timing zone for Bangladesh is +6MT. (Indian time +5:30 GMT). It means that, the difference between Indian and Bangladesh climates is about half an hour.